Martha Mae Hershey, 94, of Lancaster, PA died Wednesday, March 9th, at the Mennonite Home in Lancaster. She was the wife of the late John K. Hershey who died October 1972. Born in Warwick Twp., she was the daughter of the late Henry H. and Ella Hostetter Hershey. She was a member of the Tidings of Peace Mennonite Church in York, PA.
Mrs. Hershey is survived by the following stepchildren: Eva Hertzler, Aaron, husband of Mary Hershey, Mary Benner, Paul, husband of Elaine Hershey, Ada Rohrer and Grace, wife of Samuel Gish; thirty-four grandchildren, and many great grandchildren. She was predeceased by stepchildren, Ethel Gross, and Roy, Lester, Noah and Harold Hershey. She was predeceased by sisters and brothers, Mable Eshleman, Grace Metzler, Dorothy Keener, Mary Martin, Clara Landis, Esther Lehman, Harry, Paul and Frank Hershey. 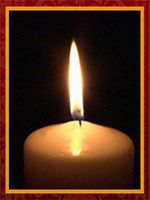 Relatives and friends are respectfully invited to attend a funeral service from Bairs Mennonite Church, 6925 York Rd., Hanover, PA on Saturday, March 12th, at 3:00 P.M. Interment in York Rd. Cemetery, Hanover, PA.